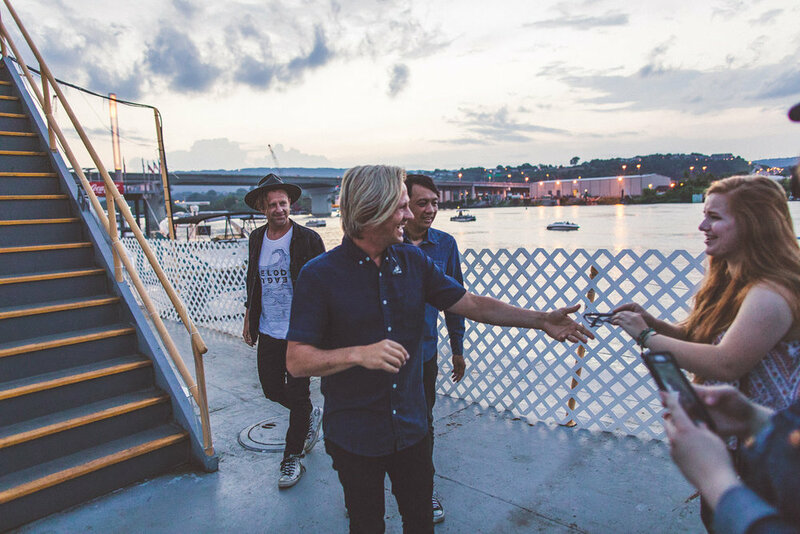 On June 12, 2018, Switchfoot was in the middle of a hiatus from touring, but fortunately for us they still had a few shows left this year, one of which was in Chattanooga. While in Chattanooga for the Riverbend Music Festival, the band carved out a few hours to come have fun with our students and make some tunes. 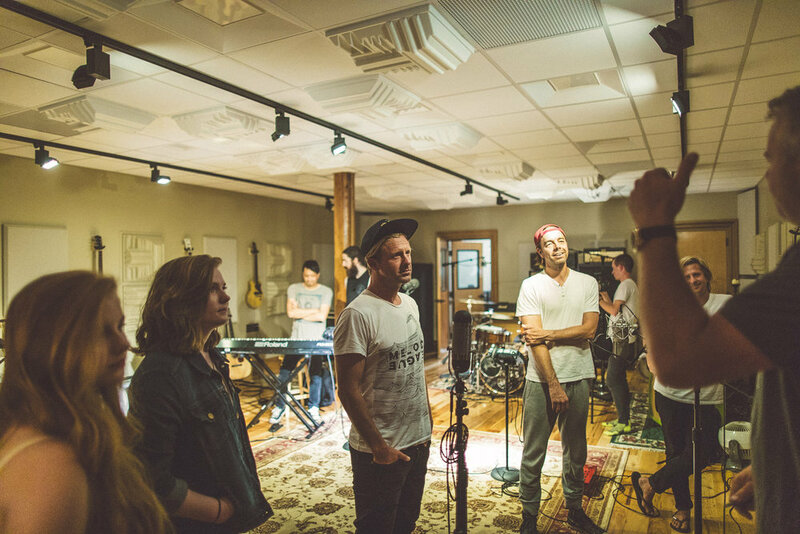 Check out the highlight video, blog, and photo gallery from our session with Switchfoot below! Dynamo Studios is 501(c)3 that exists entirely off of donations. Please consider supporting our mission so that we can continue to equip, empower and grow our local students and our local music economy. Follow the Sponsor & Give button below if you would like to contribute to the cause! Over the past year, our team has had the privilege of serving more than 1,500 students and community members from around Chattanooga. 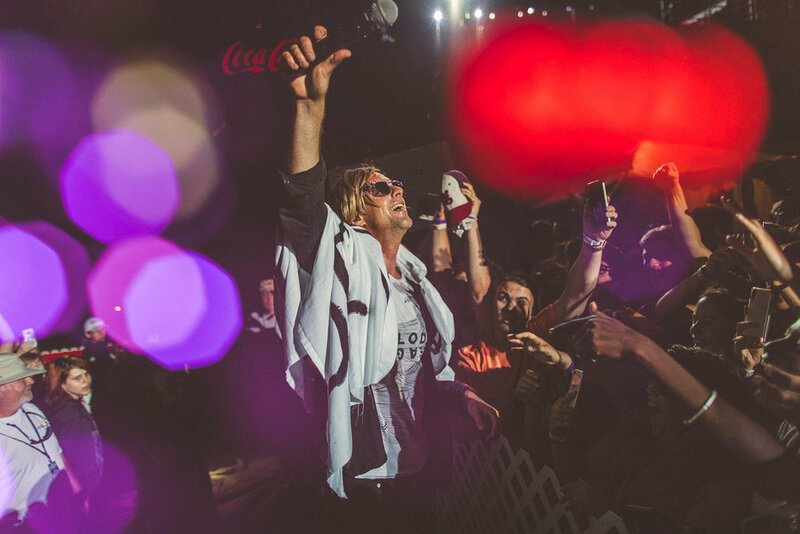 A few weeks ago we had a once-in-a-lifetime chance to work with one of the most successful bands in the modern music industry – Switchfoot! For Dynamo as an organization, working with a band of this caliber was an extremely rewarding experience, but for our students this sort of thing was life-changing. 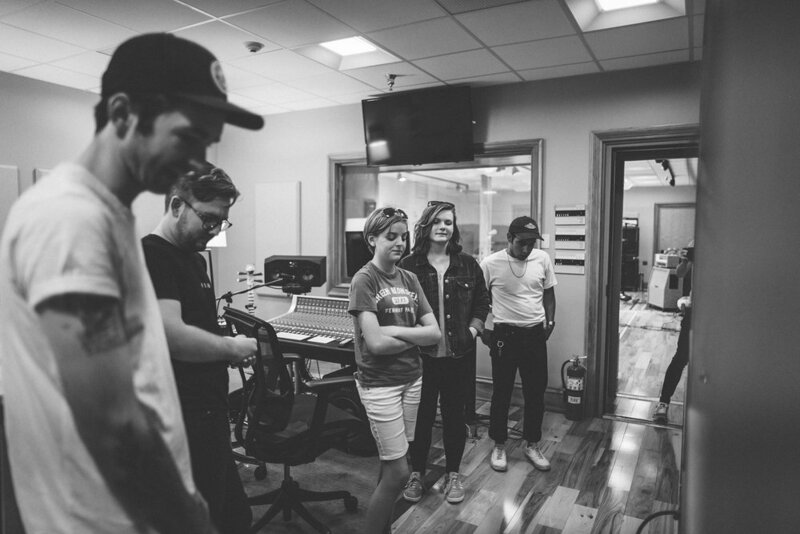 When we first caught wind that this session with Switchfoot was imminent, our team selected a handful of our most dedicated students to participate. 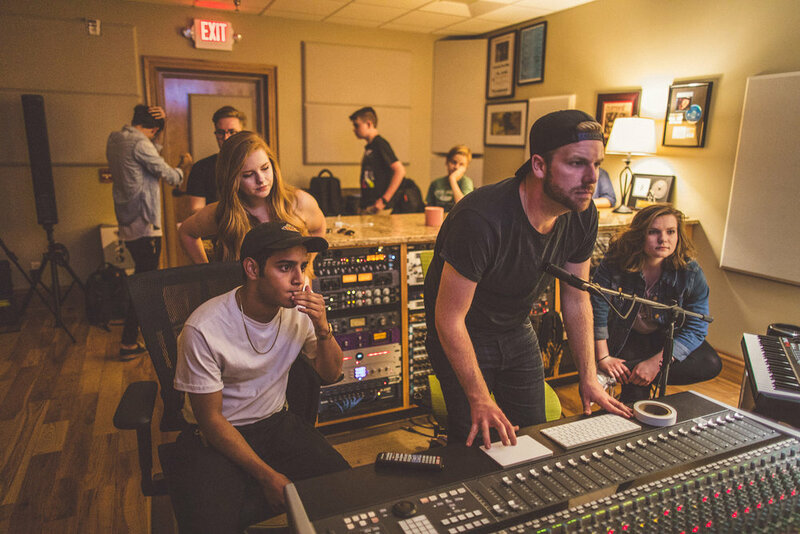 If you are unfamiliar with the programming that Dynamo offers, here is how it works: We offer FREE educational opportunities teaching students how to engineer and produce professional musicians by having them engineer and produce these musicians live and in person. Quite the daunting task for most middle and high school students who may or may not have any sort of real world training in this industry! Many students of all ages and all walks of life come through our programs, but for this opportunity, we opened the doors to the students who had gone way above and beyond to invest, grow, and refine their craft as young engineers and producers. 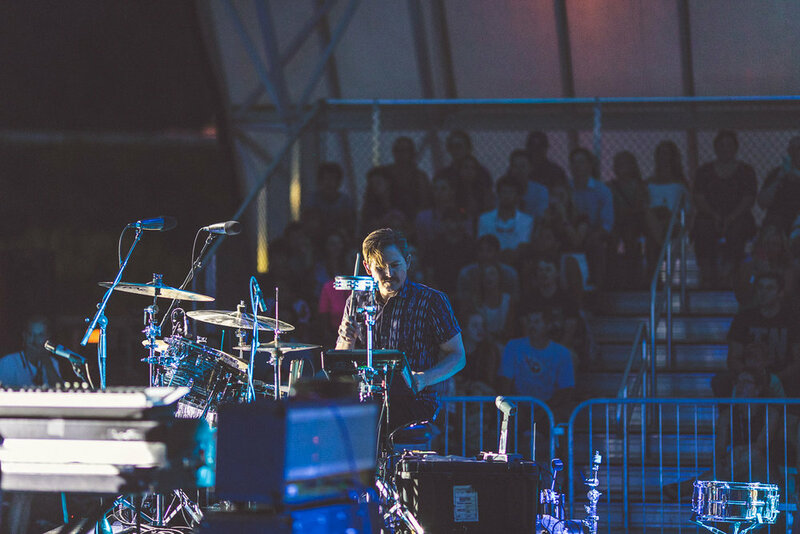 For them, this was one of those "once-in-a-lifetime opportunities" where everything they'd learned over the past months came full circle on a huge stage with a prolific band. 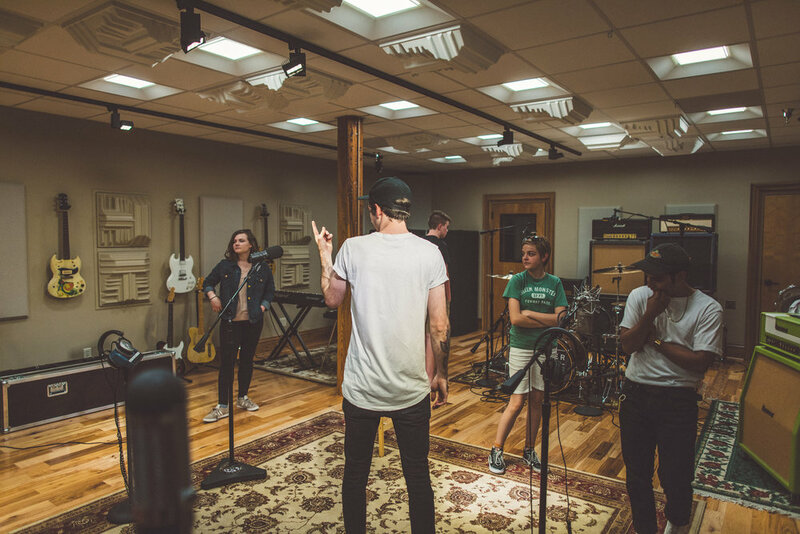 They've been equipped with a plethora of skills in partnership with The Studio at the Chattanooga Public Library, and this opportunity gave them the chance to apply those skills by working with one of the most successful bands in the modern music industry. Once again, quite the task for most middle and high school students! This is one of those situations that could end in absolute chaos, and quite frankly, most people would expect that. But for us, these aren't opportunities for failure (although that is entirely possible). These are opportunities for students to achieve, thrive, succeed and — most importantly — grow. It is imperative that adults empower students by giving them a huge amount of responsibility whenever possible and then telling them, "Hey, I believe in you. You've got this, and I have total confidence in your abilities." The growth that happens for students in these situations is unparalleled. Those words hold a tremendous amount of value in the hearts of teens, which is why we are so confident when putting them in a session with such a prolific band. This was an absolutely insane day (in all the right ways) from start to finish. 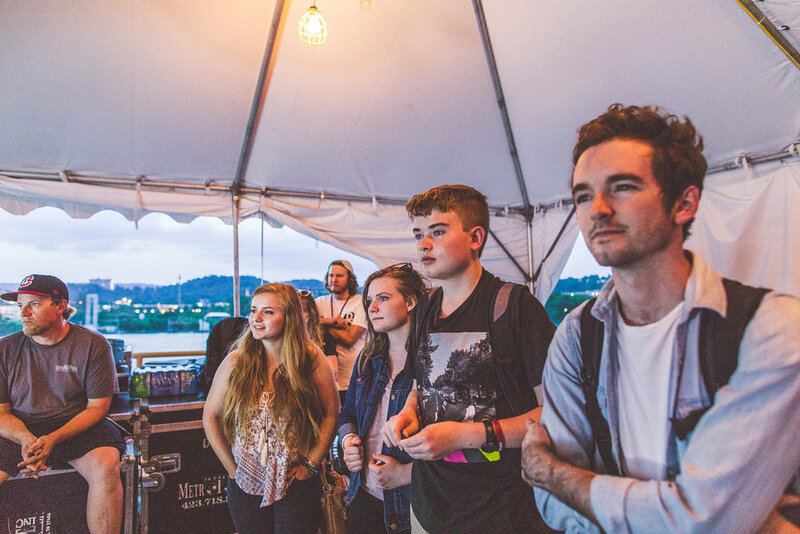 We started the day by working on a five song EP with local band Tir Asleen and ended it by watching from side stage as Switchfoot performed in front of thousands of people at the Riverbend Music Festival. Not too shabby! 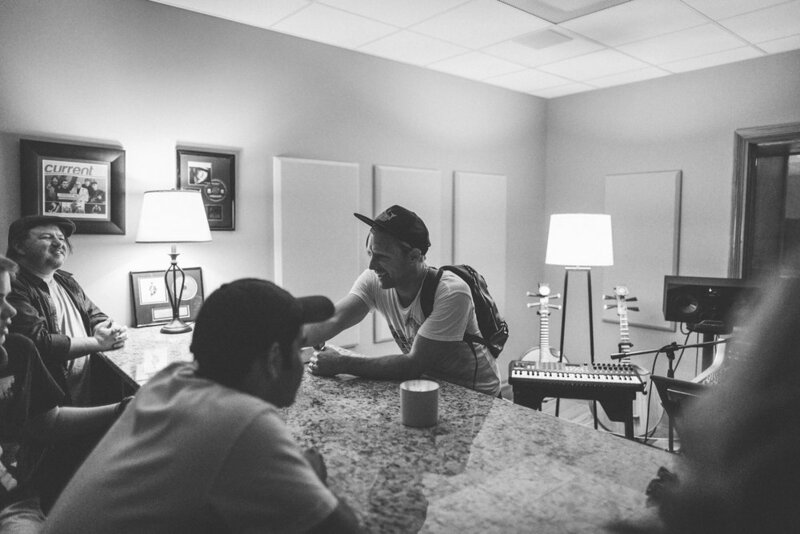 For our session with Switchfoot, we set up shop at Songbirds' studio in downtown Chattanooga, TN. This studio is UNREAL! Gear out the wazoo, amps and guitars line every wall in the studio, a killer set of Sleishman Drums with an arsenal of handmade Heartbeat cymbals, analog outboard gear and mics that would make the most dedicated gear junkie drool. To top it all off, the almighty Irv Berner and David Davidson from Songbirds Guitar Museum brought by three of the most killer vintage guitars in existence. We mentioned to them that the band wanted to cover a Beatles song with the kids, so they brought us a '65 Epiphone Casino, '61 Fender Stratocaster, and of course a '67 Hofner Violin Beatle Bass (Paul McCartney would be so proud). 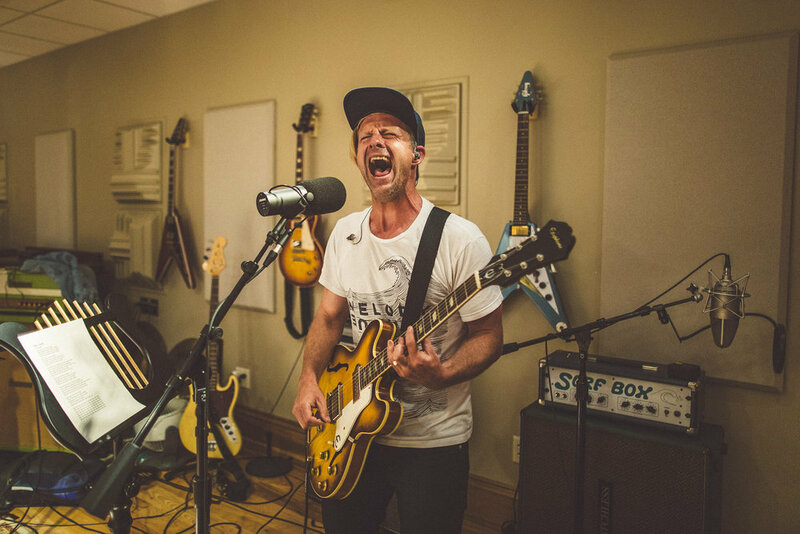 So, not only did the students get to work with Switchfoot, they also got to work with some of the nicest gear available and three of the rarest guitars on the planet. For me it's pretty hard to not have shaky hands when playing those guitars, but David really put us all at ease when he jokingly said, "Hey man listen, just treat it like a $7 guitar and you'll feel better." If you know me, then you know I am a big time planner. For this session, I had everything planned down to the minute. So, when the band arrived 45 minutes early I was, naturally, freaking out on the inside. But what was so exciting in that moment was how the students handled the situation. I ran in and said, "The band is here the band is here the band is here aahhhh!" (or something like that). 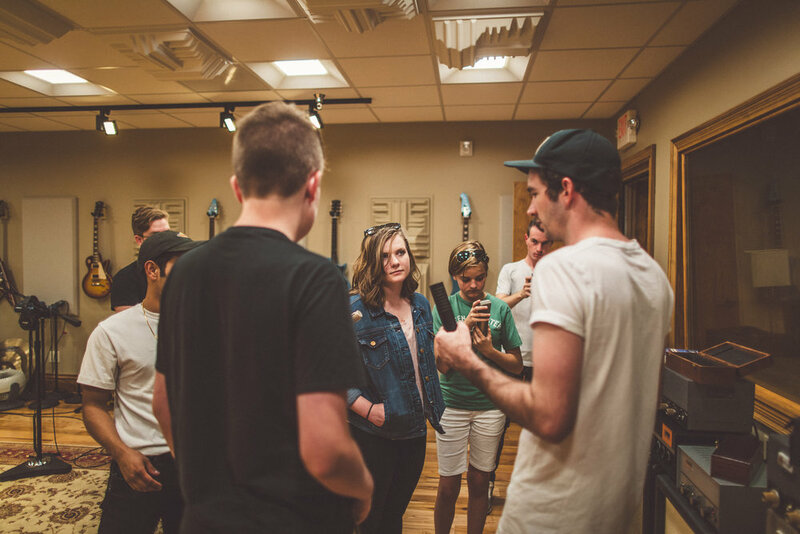 Rather than share in my exasperation, the students huddled up, greeted the band with high fives and handshakes, and then promptly moved into the live room and control room to begin prepping the session. I haven't mentioned it yet, but this was their first time in a studio of this caliber and once again, their first time with a band this prolific. To see the students handle an intense situation like that with such calmness and professionalism truly resonated with me and every other professional in the room. Rather than act like some crazed fan, they handled the situation like total pros! Not a bad start! 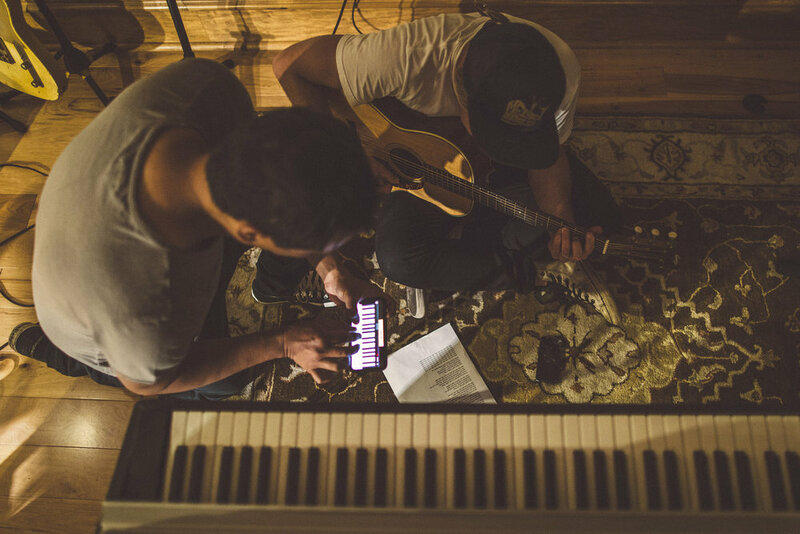 Once we got everything rolling, we met with the band and they shared with us the song they chose to record for the session: "Hey Jude" by The Beatles, an all time favorite of mine and many others in the room. What was really cool about this song selection is that none of the guys in the band actually knew how to play the song. We weren't worried at all (because these guys are big time pros who will obviously be able to figure out the song pretty quick. DUH), BUT as a producer and engineer, it can be pretty dang stressful when an artist or band comes into a session not knowing their songs. 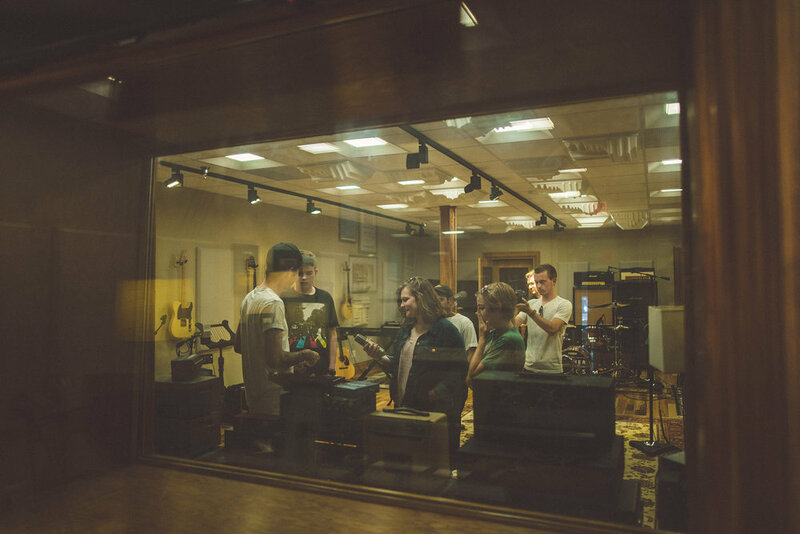 HOWEVER, this particular session allowed us to have an incredibly unique opportunity: We got to see Switchfoot's creative process for arranging and learning new music FIRST HAND! If you are a creative, you know how big of deal it is to get an inside look at how pros create and execute their craft. Not only that, the students were working with them throughout the process. Don't get me wrong I LOVE having the opportunity to facilitate this sort of thing for the students with my team, but man oh man was I jealous of these kids! A sentiment members of the band shared with me being that pretty much all of us said at different points in the session was, "man I wish so badly that I had this when I was a kid". This is a common feeling shared by the pros we bring around the students. It is part of what fuels the fire that makes this thing possible. 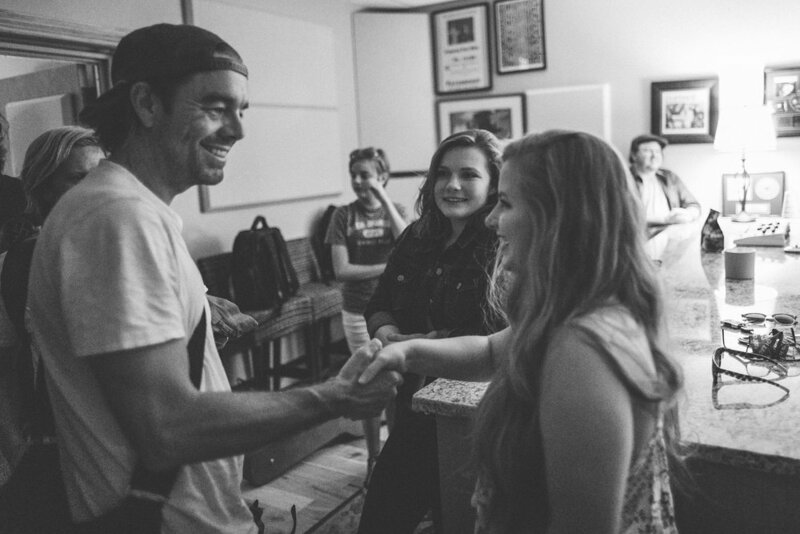 We can't really receive any greater affirmation then when big-time artists like Switchfoot can spend a snippet of their day with us and quickly recognize the talent these students posses and the validity of our mission. This session went off without a hitch. We can't thank the big homie Dran Lewis enough for the crazy amount of work he did to help make this session a success. YOU DA MAN DRAN! 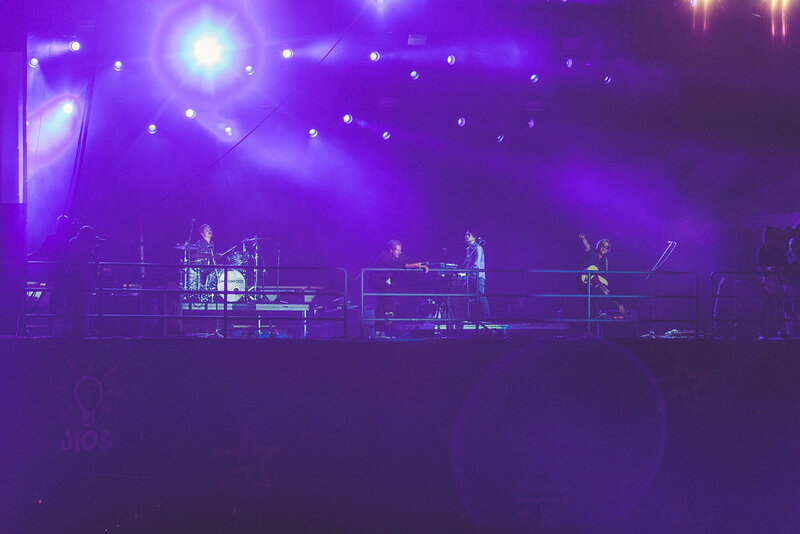 Once we wrapped up tracking, the band headed over to the the festival grounds to prep for their set. We were able to end our night standing side stage watching the band perform in front of thousands of people. THEY EVEN PLAYED HEY JUDE DURING THEIR SET! Jon, Tim, Chad, Jerome, Drew, and Scrumps - You guys are the real deal. I can't thank you and your team enough for your seemingly endless amounts of generosity and for setting aside so much time to work with our students. THANK YOU!!! Until next time, "live it well..."
A very special thank you to the students, Johnny Smith, Dran Lewis (Engineer), Jimmy Kelley, David Davidson, Irv Berner, Damien Rogers, Jered Martin (Photography) Clark Campbell (Social Lion), Zach Camp (Videographer), Matt Park (+ Coffee), Josh Hill, Jonathan Roach (Engineer), Bryan Knispel, the Dynamo Studios team, and everyone else behind the scenes for their assistance with this project! Dynamo Studios is 501(c)3 that exists entirely off of donations. Please consider supporting our mission so that we can continue to equip, empower, and grow our local students and our local music economy. 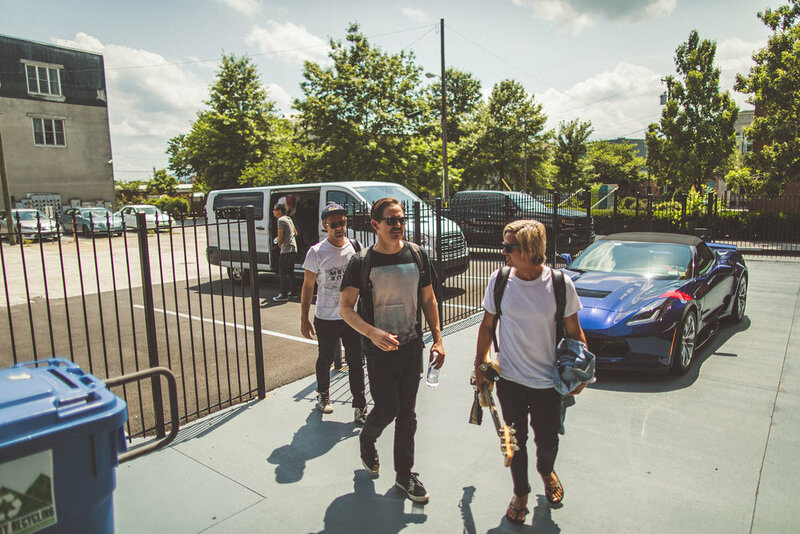 Check out the photo gallery from our session with Switchfoot below!